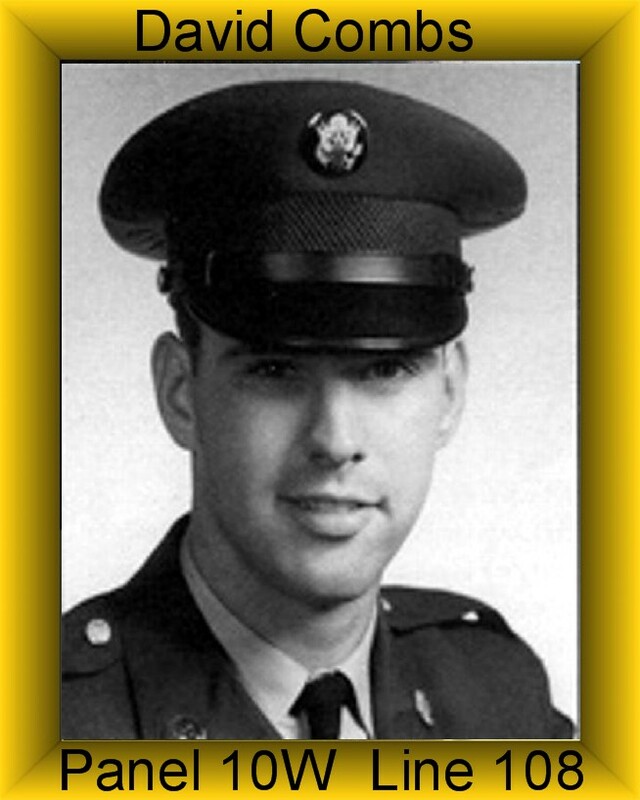 David was assigned to Charlie Troop on March 19, 1969 and was Killed in Action on May 27, 1970. David was a Door Gunner on an OH-6A Light Observation Helicopter. David was awarded the Purple Heart, Air Medal, National Defense Service Medal, Vietnam Campaign Medal, Vietnam Service Medal and a set of Crew Member Wings. DAVE ‘CRSHING COMBS WAS MY FRIEND, A PROUD SCOUT HOLE DWELLER. FLEW HARD AS AN OBSERVER AT CAMP EVANS, WAS WIA LATE JULY 68.MADE IT TO VALLEY FORGE ARMY HOSP.BY SEPTEMBER AND GOT WEEKEND PASSES. PARENTS BROUGHT HIM HOME TO HANG OUT A FEW WEEKENDS AND I HAVE AN OLD PHOTO SOMEWHERE OF DAVE SITTING IN MY DADS RECLINER, WITH MY WIFE KATHY AND NEW SON RON WHO I WAS WAITING TO MEET.WE GOT TOGETHER WHEN I HAD MADE IT BACK TO THE WORLD ,THANKSGIVING 68.